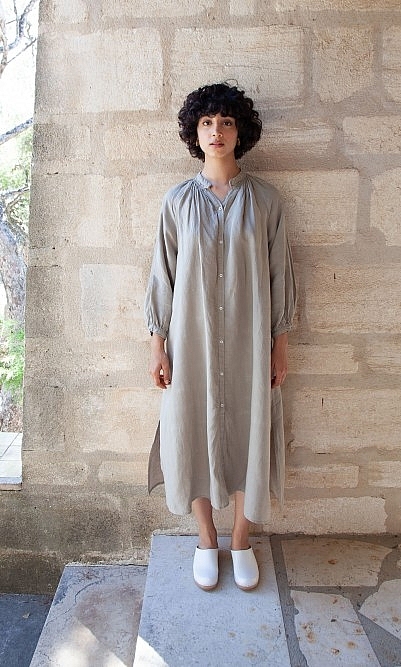 Loose-cut Yacco Maricard dress overstitched in fine pin-tucks with pinch pleat gathers subtly defining the waist. Side seam pockets. L115cm. What a stunning piece, fits just so perfectly. I know it's expensive, the brand is, but I have bought so many clothes from them and they are worth it. It's timeless and looks just so effortlessly great.